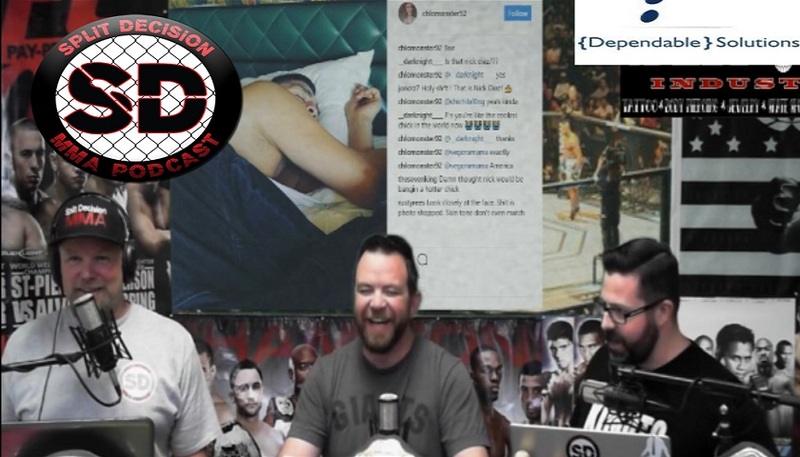 Split Decision MMA Podcast - Nick Diaz married? PVZ sick or no? Split Decision MMA Podcast – Nick Diaz married? PVZ sick or no? Derek getting crazy on Paige VanZant… Is PVZ sick? Andrea “KGB” Lee IN and OUT of UFC216 ..
More fights announced for UFC 218 ..
VanZant has become a prime target for UFC flyweight Jessica Eye who says that the ‘Dancing with the Stars’ competitor has been ducking her after signing to a fight contract that never actually played out. Visit the guys of Split Decision MMA Podcast on the web at splitdecisionmma.com.